Celebrate chocolate on any day of the week – at Coffee Works, which is taking chocolate to some very unusual places. 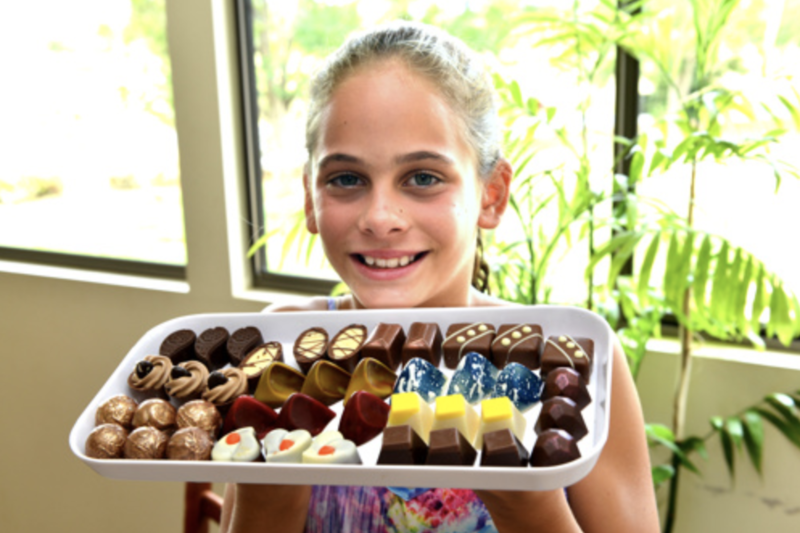 The imaginative chocolatiers at this Mareeba enterprise obviously have fun at work – with varieties including orange polka dotted Jaffer Basher, lemon myrtle and lime and black pepper. Walk through their doors and they promise decadent dark, wicked white and magnificent milk chocolate creations. For the romantics this chocolaterie makes several types of chocolate hearts and for something different, how about a chocolate pizza birthday cake – seeing is believing! Coffee Works also offers visitors a look at coffee roasting and the opportunity to try several brews. The company now showcases the Australian coffee industry to more than 180,000 visitors annually in its stores including outlets in Mareeba and Atherton. It is considered a coffee connoisseurs ‘heaven’ synonymous with exclusive gourmet products, including its delicious chocolates. The Gallo family business has been on the Atherton Tablelands for almost 100 years. Today the family farm spreads across 1000 acres of rich red volcanic soil and milking on average 350 cows a twice a day. The freshest ingredients are guaranteed in these sweet treats which take the age-old craft of chocolateering and give it a Tropical North Queensland twist. The chocolates taste of the lush tropics with flavours such as mango, pistachio, macadamia and passionfruit plus traditional favourites such as peppermint, hazelnut, cherry and orange. 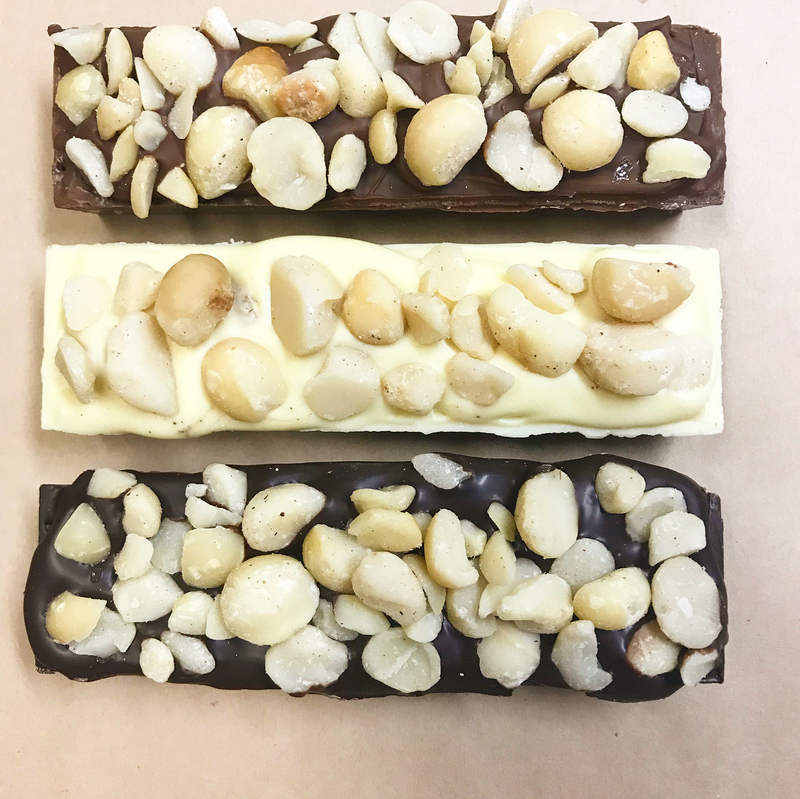 The treats are given an extra taste boost being made with couverture – chocolate that has a very high percentage of cocoa butter, typically between 32 and 39 per cent. It makes for a richer and smoother product. After being blended and tempered the results make for a chocolate with a glossy finish and a hard crisp consistency. 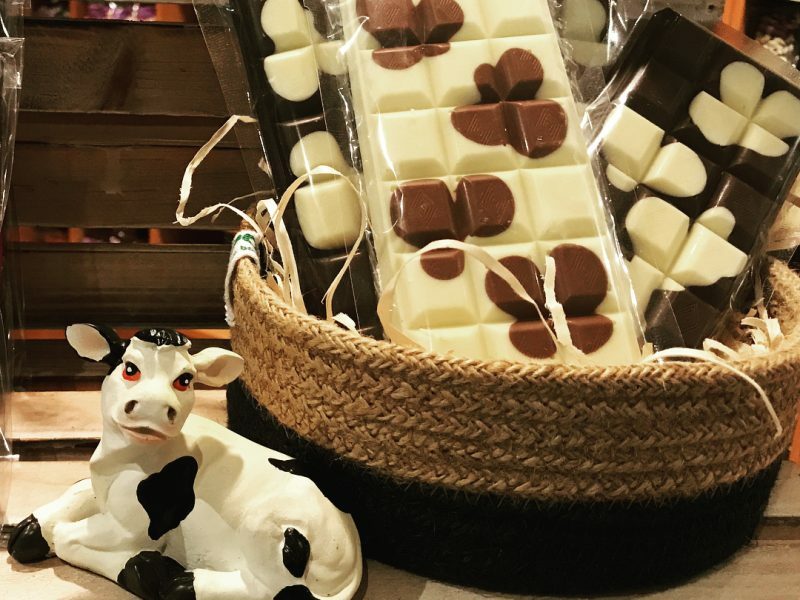 The chocolates at Gallo Dairyland look special and taste even better. Gallo’s highly skilled chocolatiers make all the product by hand on the premises so you know you’ll get a yummy mouthful on site but phenomenal chocolates to take away as a gift or savour later. Located on the Malanda-Atherton Road, Gallo Dairyland is a licenced café known for its cheese tasting and sales as well as morning and afternoon teas and ice cream treats. Australian grown cocoa and vanilla and a working sugar cane farm make this farm gate experiencer a real sweetie. Very educational and even more delicious, the Sweet Farm Tours are led by an actual farmer and let you touch and smell and try cocoa pods, cocoa beans, cocoa nibs and sugarcane. After the tour there’s Australian origin chocolate tastings. 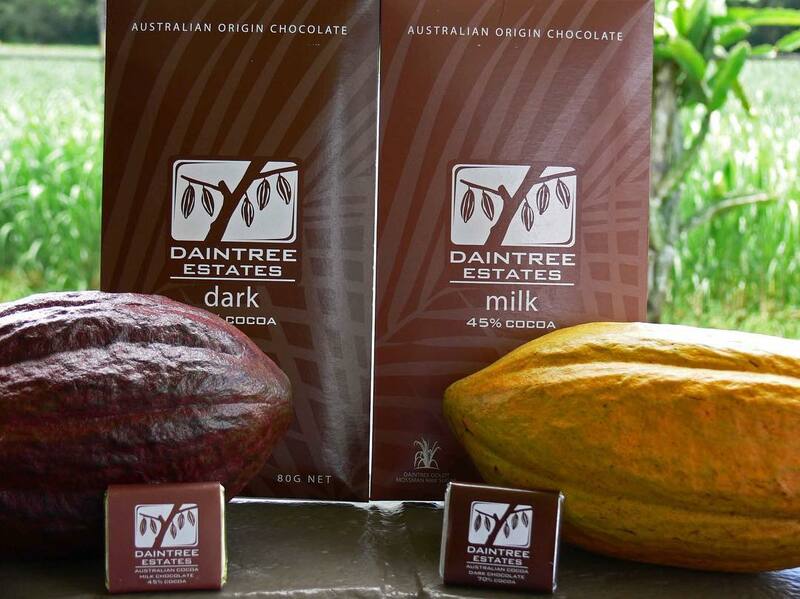 Daintree Estates, which runs Sweet Farm Tours, was the first commercial manufacturer of chocolate to use cocoa grown in Australia. It is also one of the few plantation-to-plate cocoa/chocolate producers so they have total control over every stage of processing. The difference is evident in the final taste of the chocolate. 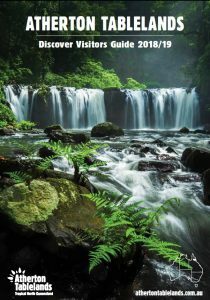 See for yourself with a visit to this amazing and beautiful farm in the middle of a rainforest. You will leave extremely knowledgeable about cocoa bean production and with all chocolate cravings satisfied. There’s also locally grown vanilla to taste and as an added bonus, Sweet Farm Tours grows koala feed for a nearby sanctuary protecting these endangered animals. Sweet Farm Tours is situated in the Whyanbeel Valley on the Miallo Bamboo Creek Road near Mossman at the northern edge of the Tablelands.